Review: NEO Glamour Green - Cherry Colors - Cosmetics Heaven! 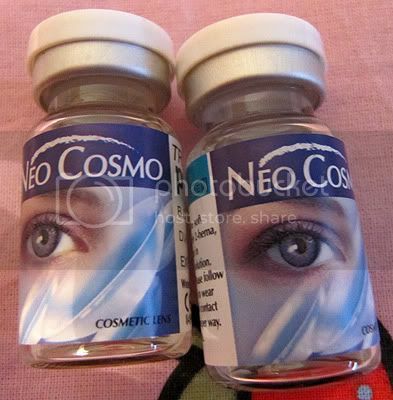 Now it's finally the time to review the NEO Glamour lenses! I wore them for a couple of days and well I love them! They are perfect and they blend in really nice! Let's start with my bare eyes. For some reason here they look as if they have a blue circle around them! Pretty weird color, no? Most of the times they are green, so it was quite hard finding the perfect lenses! But after 6 or 7 pairs of circle lenses, I finally found them! They are just perfect! They are super thin and comfortable. I don't feel them at all! They may be a little drying, but it's nothing serious. My right eye gets a bit dry after a couple of hours, but a couple of eye drops and it's fine. Plus they are really really thin! I had a problem with putting them in my eyes, because they kept blending into themselves until they formed a small triangle. I had to put them back into the case and try again. They give a bit of enlargement, but I wasn't really looking for it anyway. PERFECT! I was looking for a natural looking lens for my green eyes, and now I have finally found it! I think I'll buy this lens over and over again, I just love it so much! 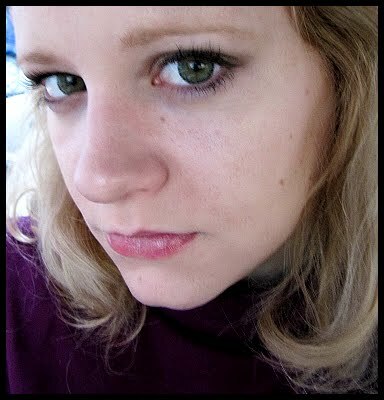 No one notices that I have circle lenses, but my dear loved them. For the first time, he gave me a compliment about my circle lenses! But the most important thing is that I don't feel self-conscious while wearing them. I really like them and if my prescription changes (it changes about once per year because of my slight astigmatism, but hopefully now that I'm over puberty it should settle) I'll get another pair because they are really perfect!